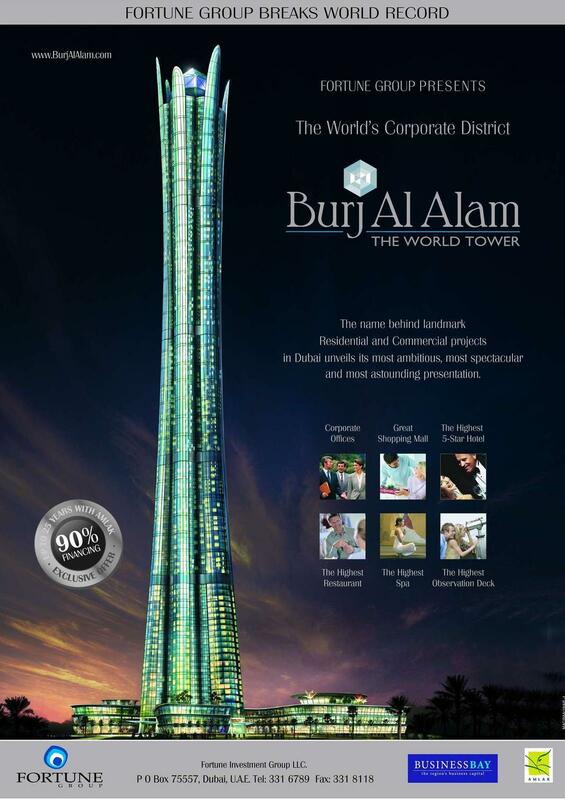 A very controversial project inside Dubailand includes a replica of Burj Dubai as well, along with replicas of Empire State Building, Golden Gate Bridge, Petronas Towers, Taipei 101, Bank of China and much more. 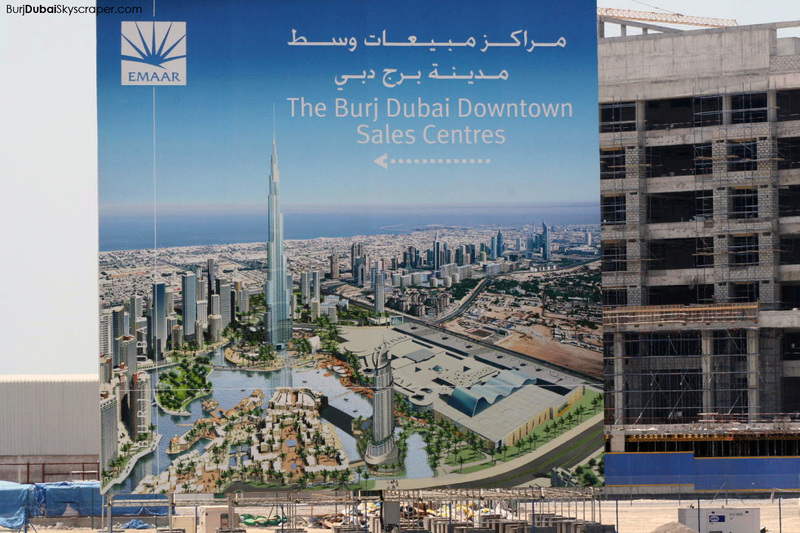 The photos were taken at the Arabian Travel Market exhibition. 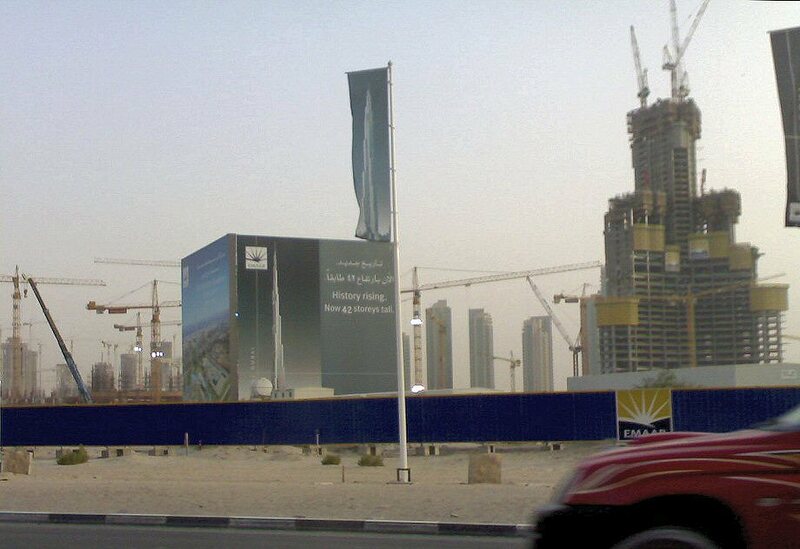 "History rising - Now 42 storeys tall"
The world's tallest tower, Burj Dubai, is slated to go as high as 200 floors, a company official revealed. 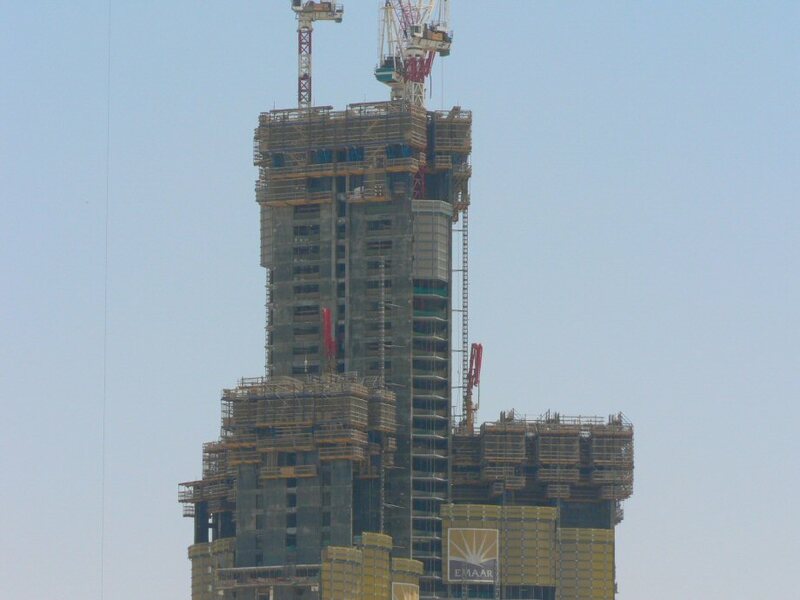 "It has reached floor No 40. 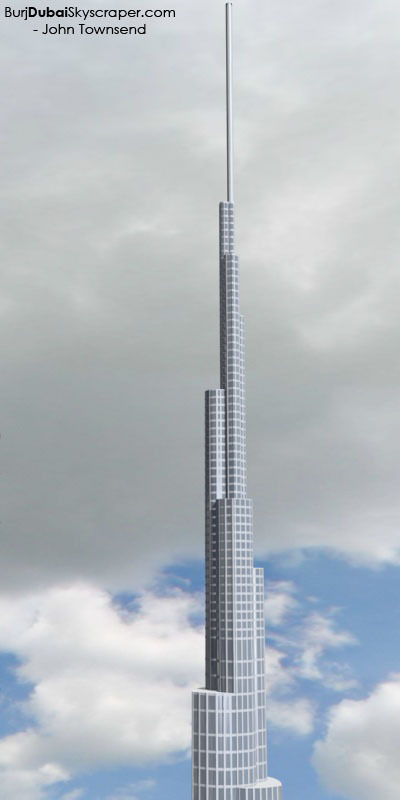 It is over 20 per cent of the total habitable floors,"
Another render of the Silk City project in Kuwait, and a render of the over 1km high tower which is going to be built as the centerpiece. 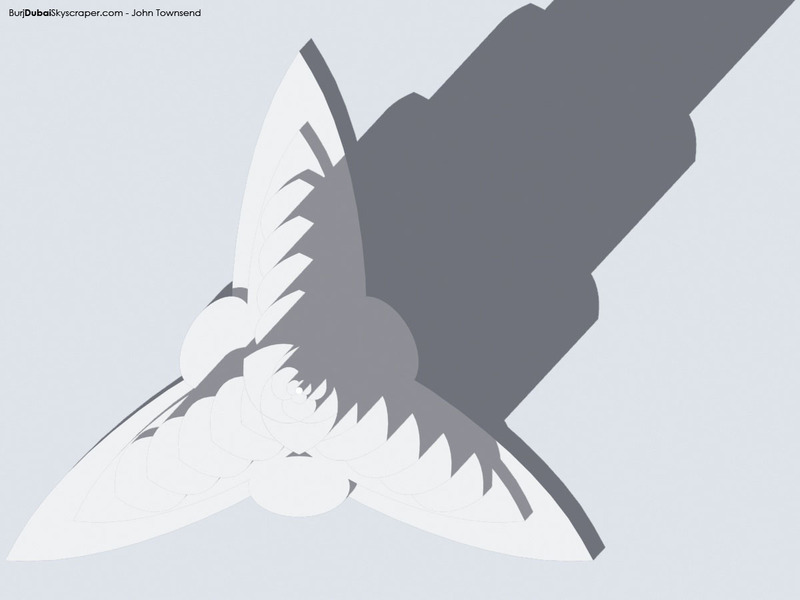 Smussuw took 18 photos yesterday and they are online now. 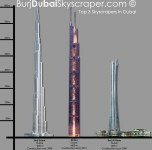 Burj is at level 38 and 140m tall. 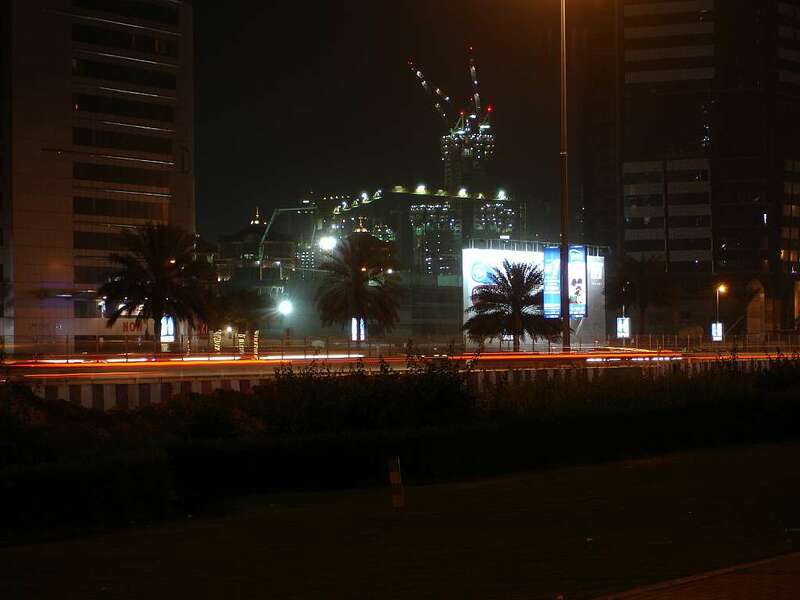 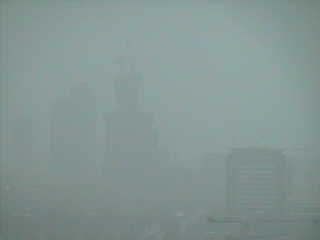 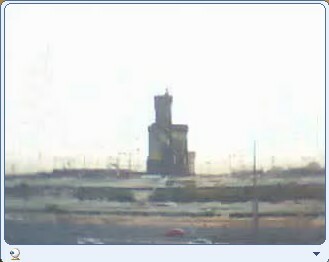 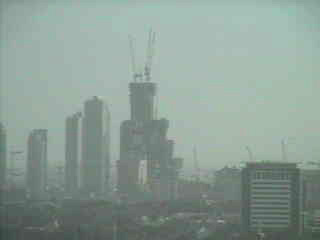 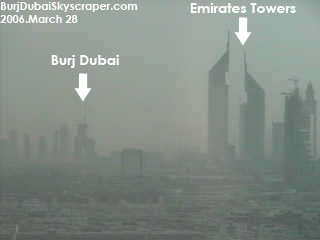 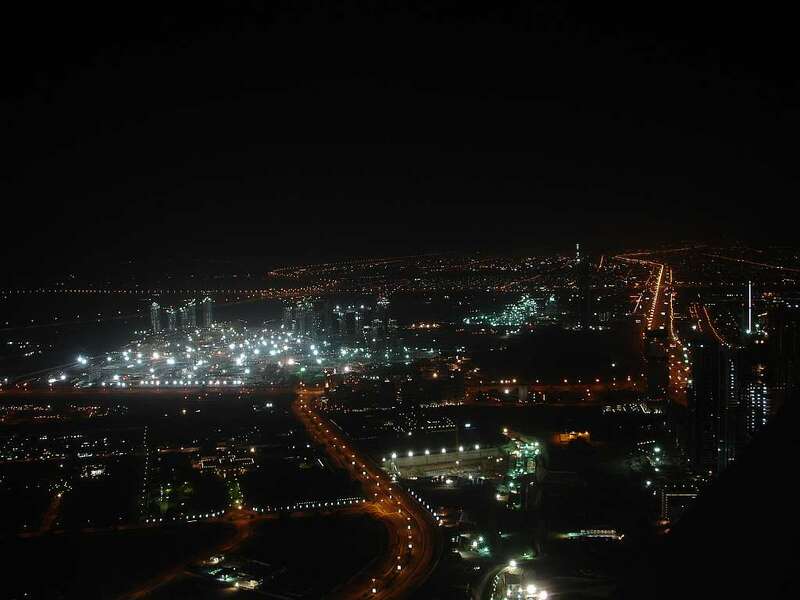 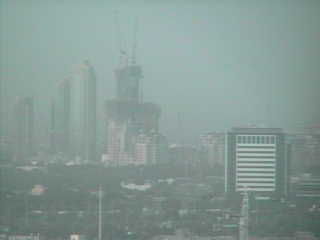 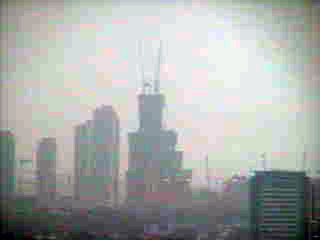 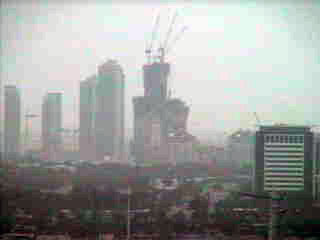 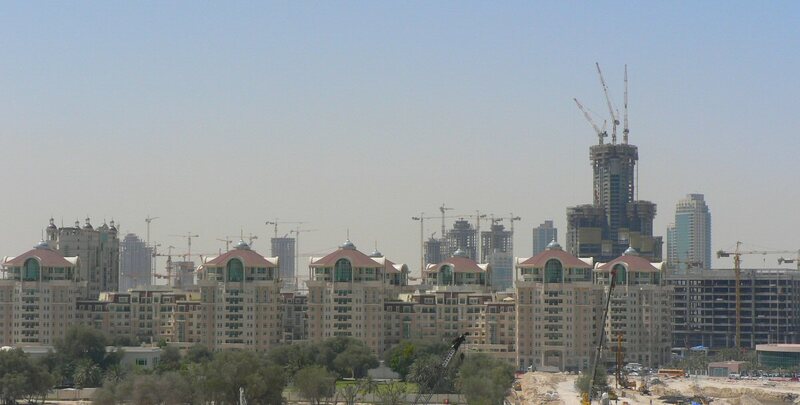 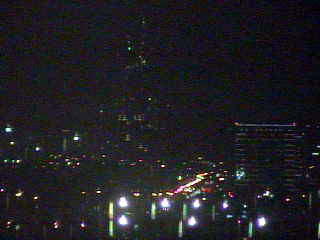 Webcam capture of the Burj Dubai from a Mazaya Center office on the other side of Sheikh Zayed Road. 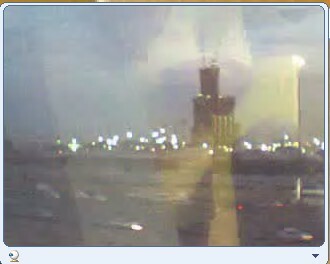 Thanks Robigal for moving the camera to the right direction! 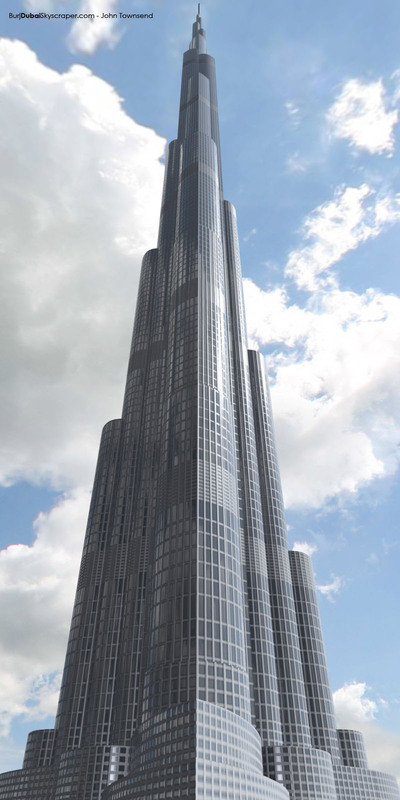 150 floors - 666m tall. 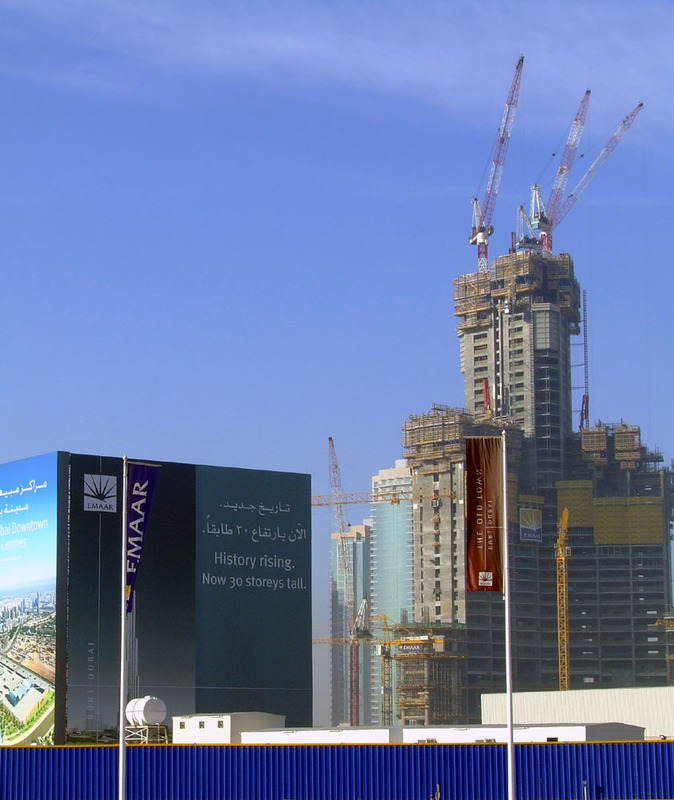 Nobody expected the tiny country in the heart of Europe to try and compete with either UAE or Kuwait, but it seems to just happen. 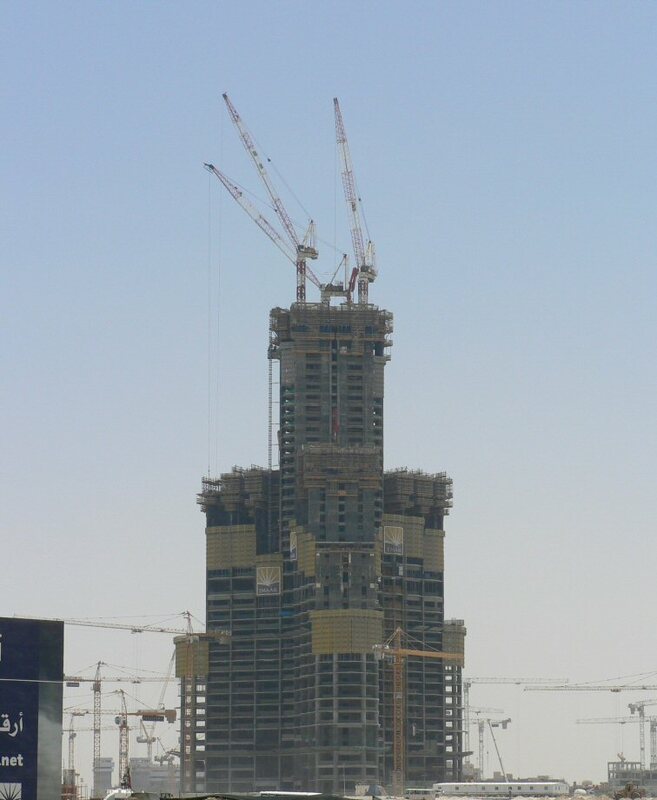 I've had the opportunity to visit the construction site of the world tallest tower. 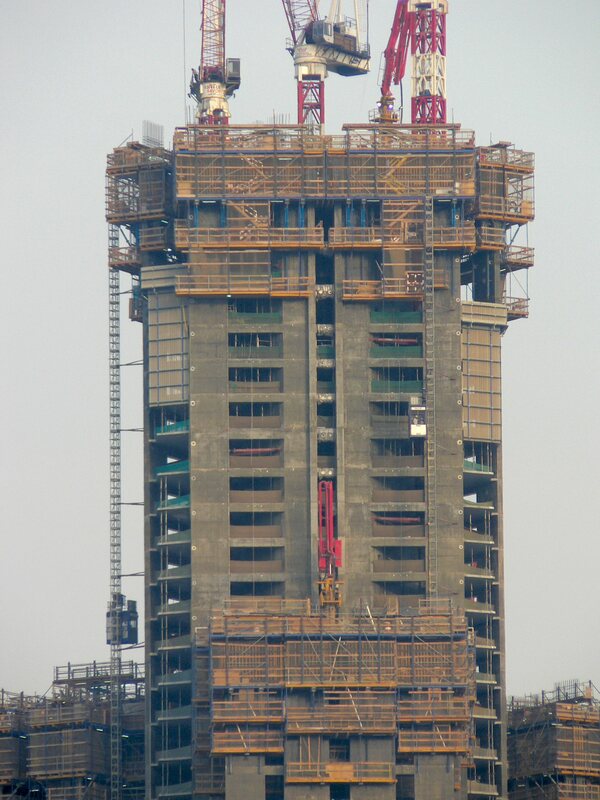 In the suburb of Budapest the structure is already rising and currently at the height of 85m, and it won't stop before 999m ! 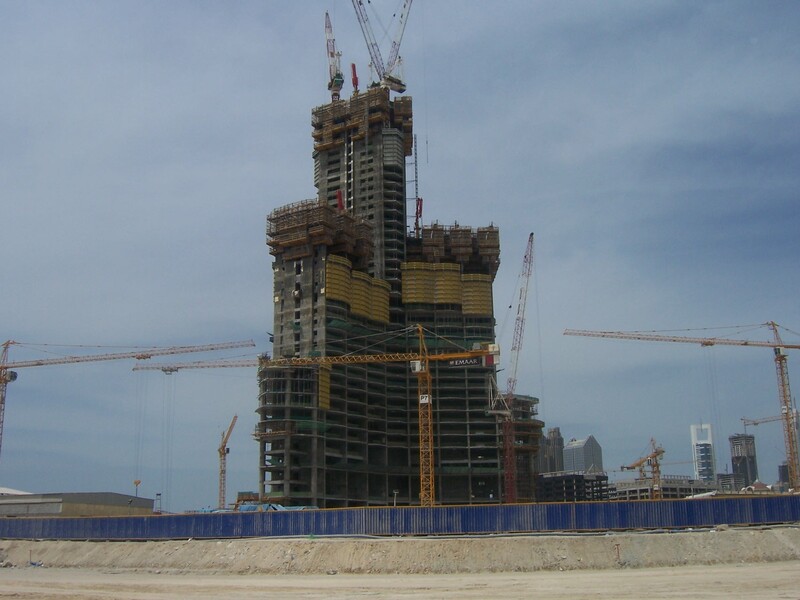 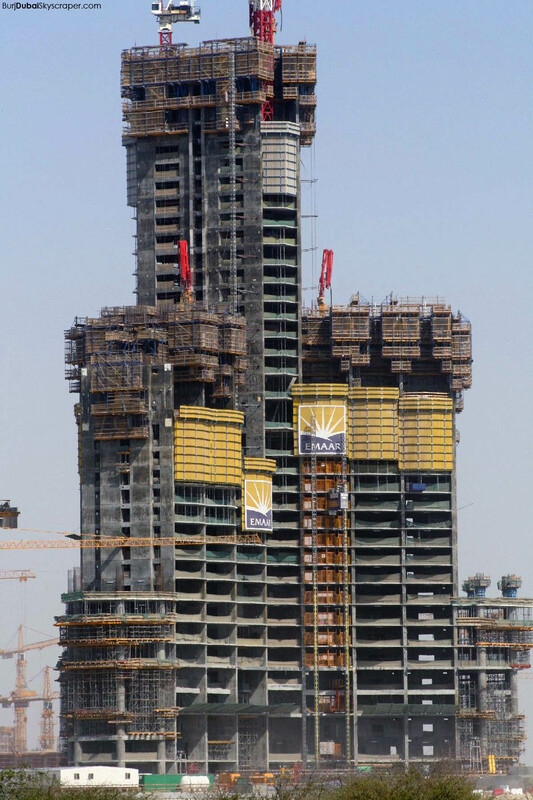 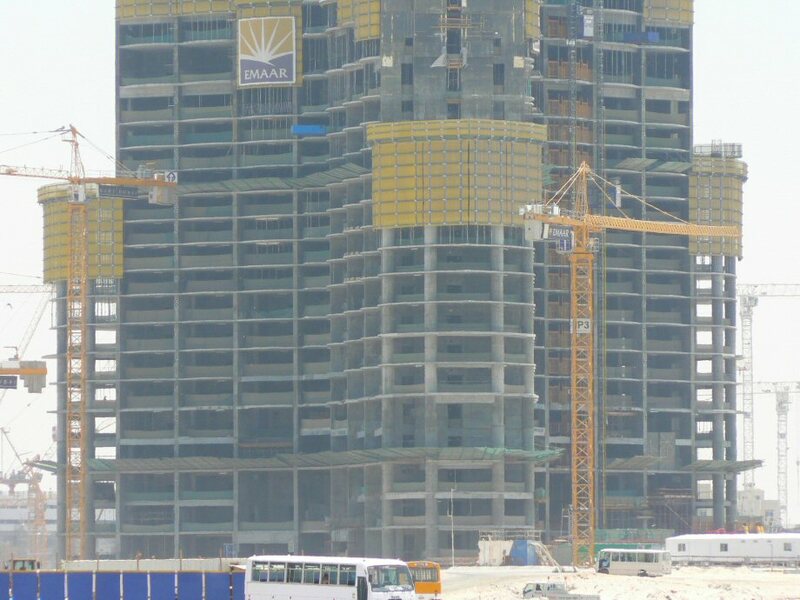 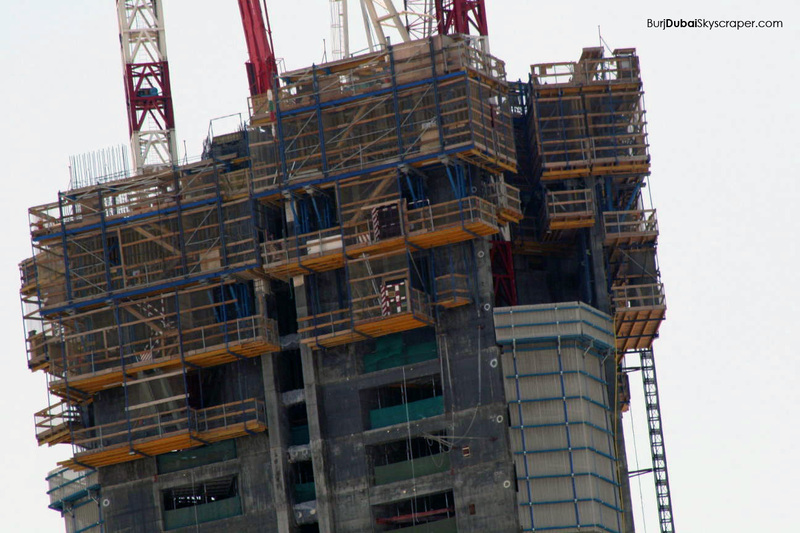 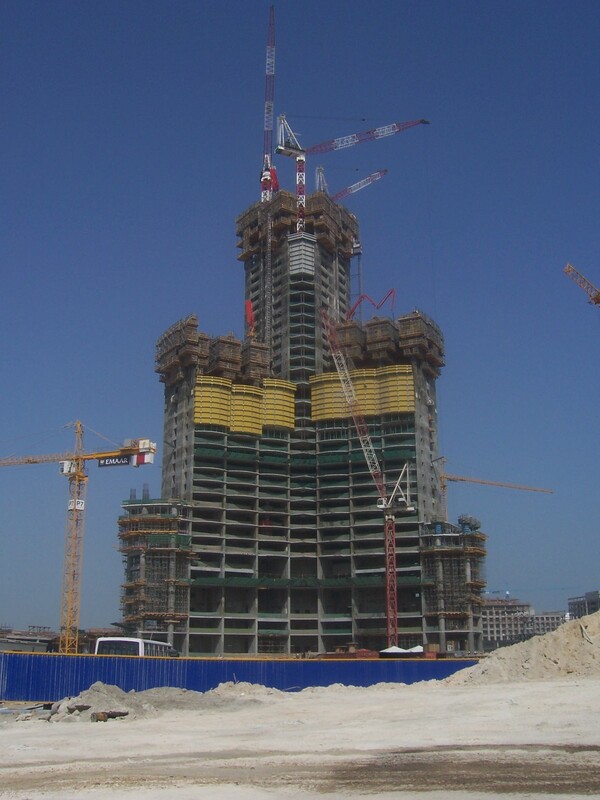 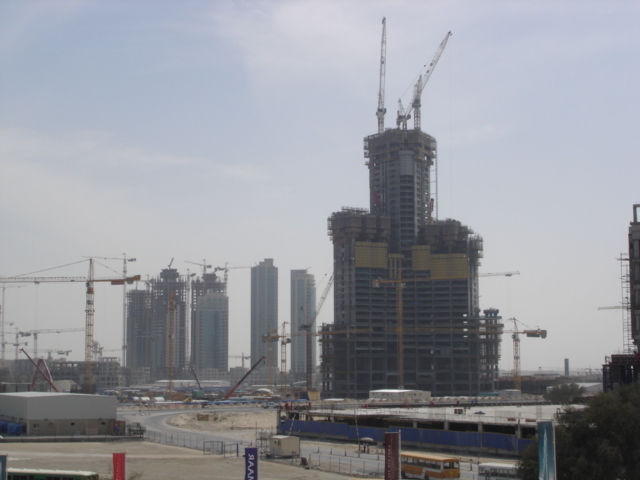 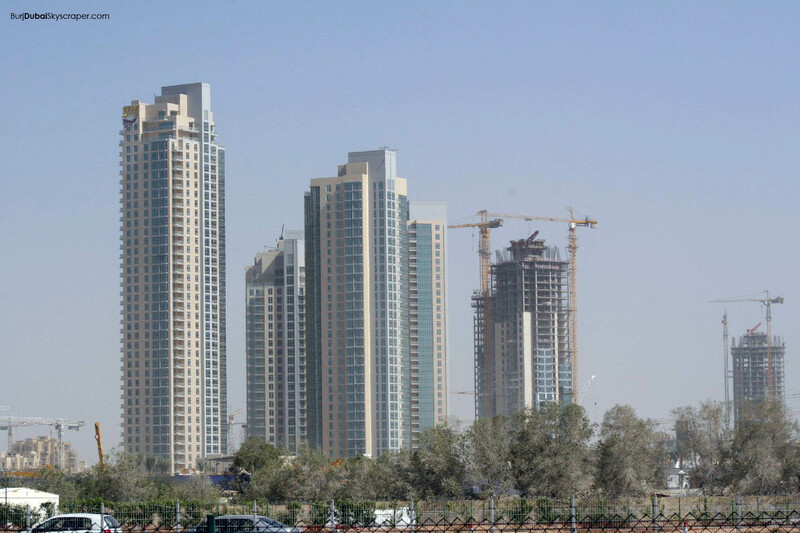 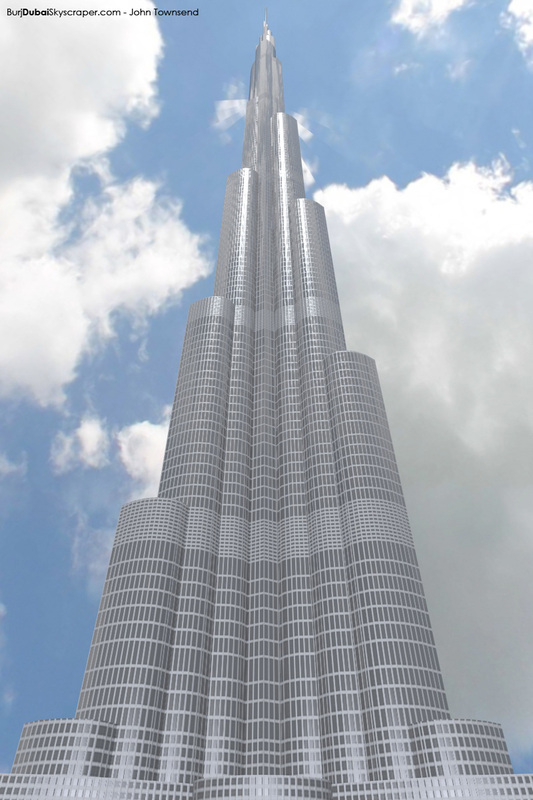 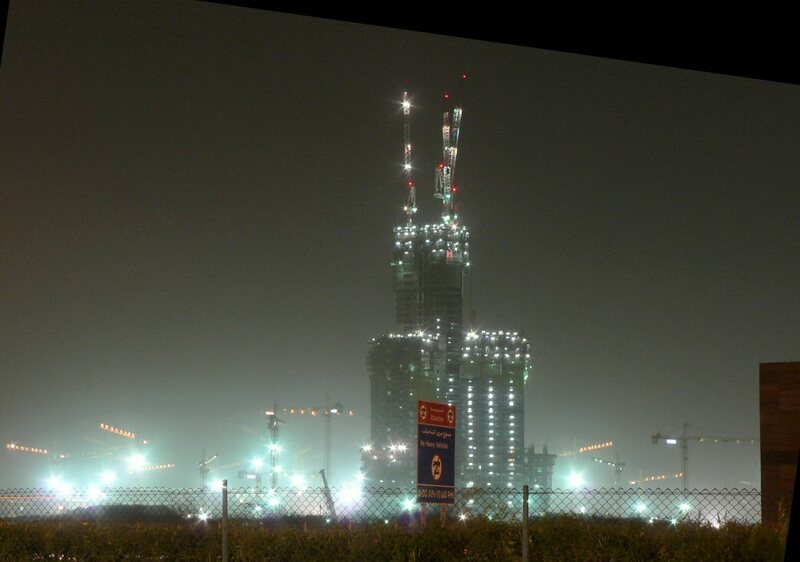 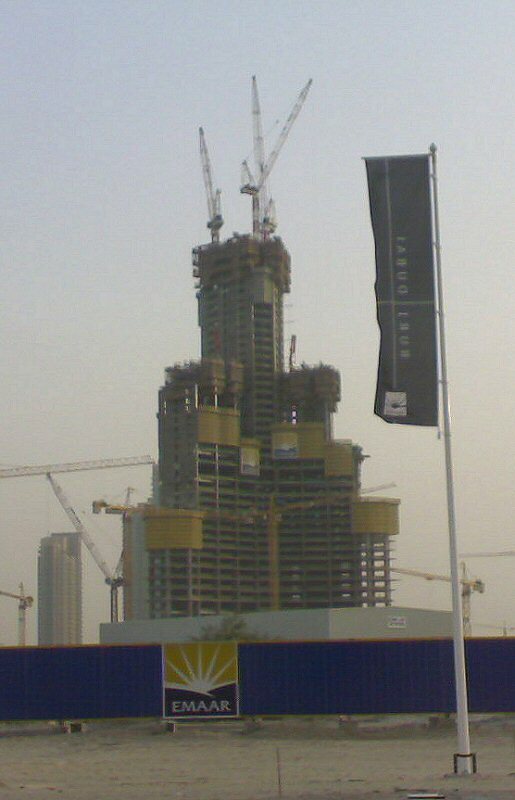 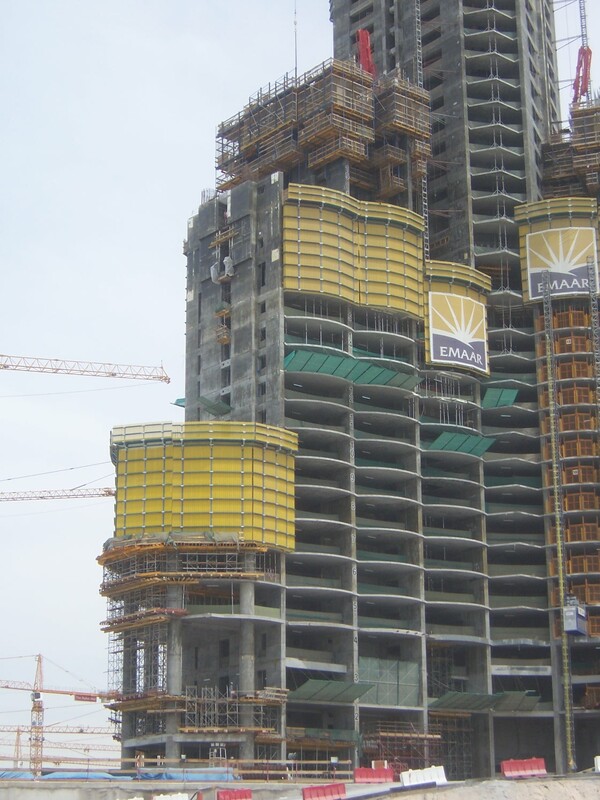 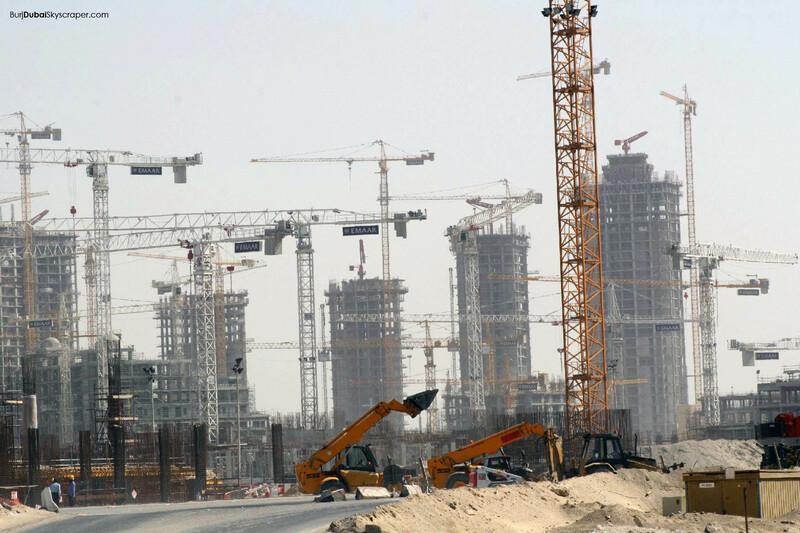 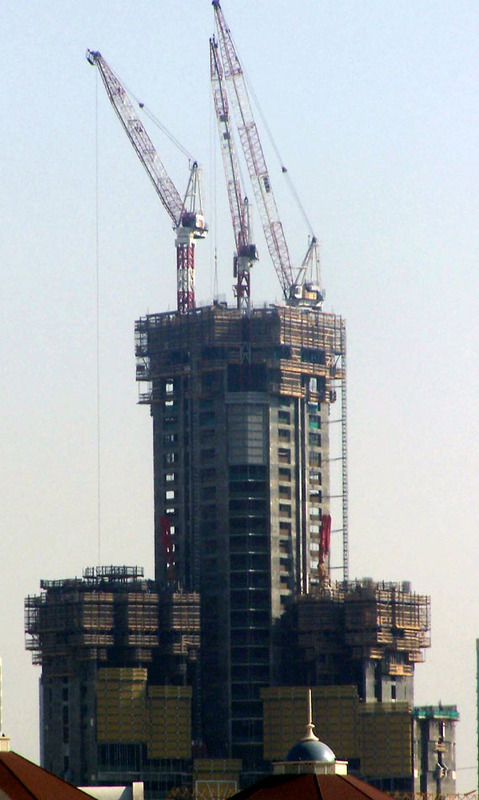 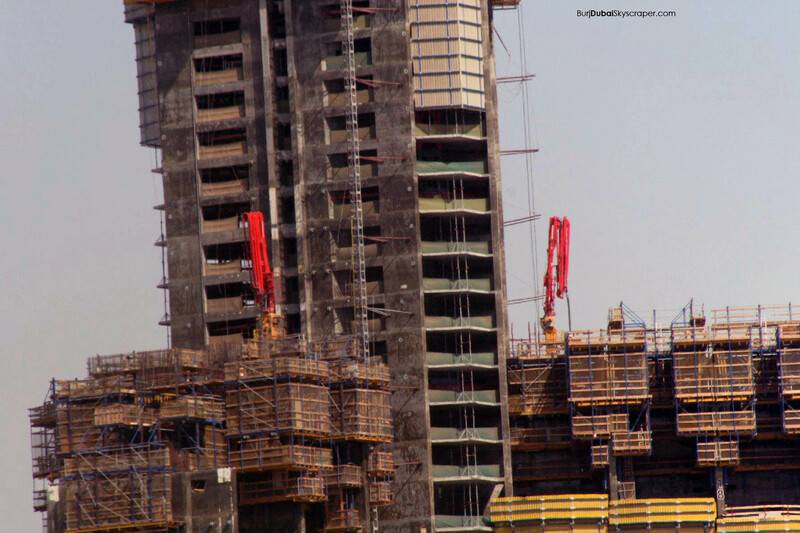 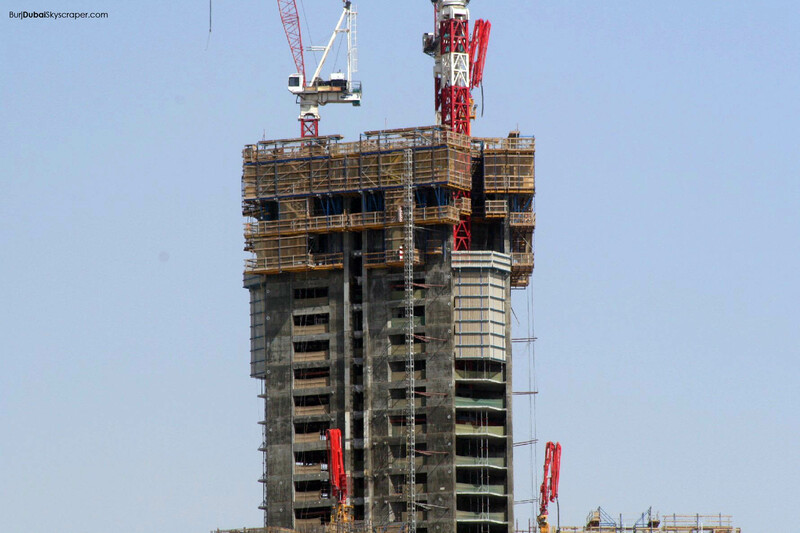 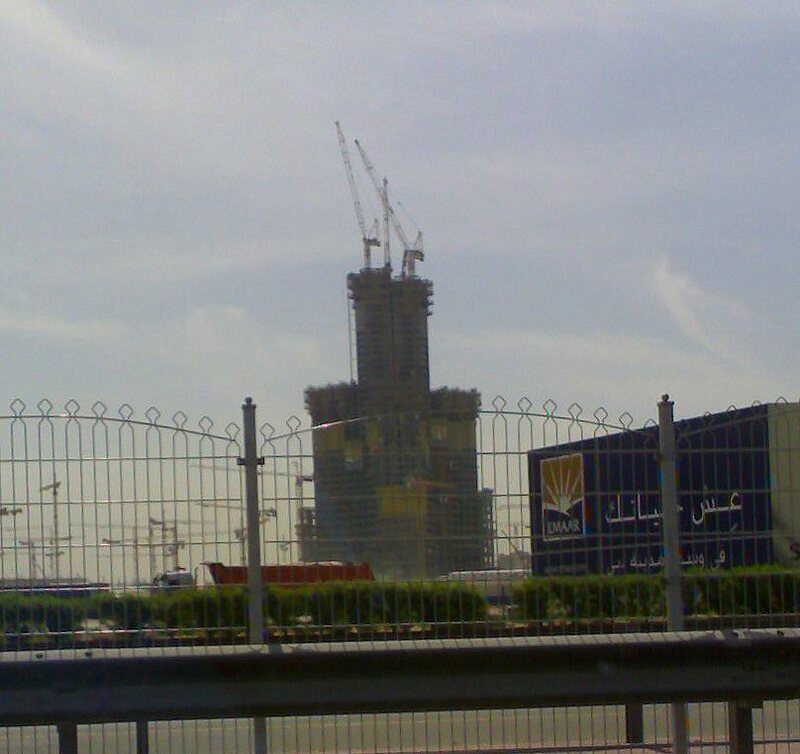 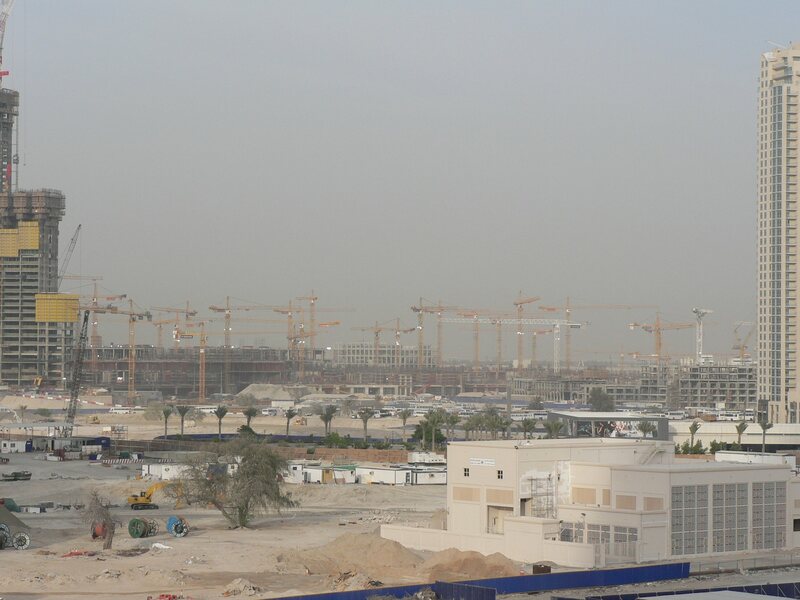 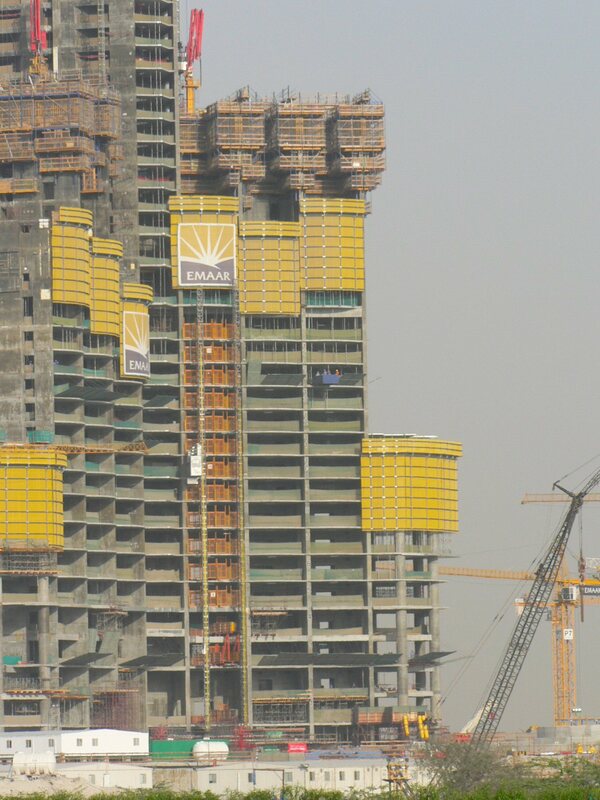 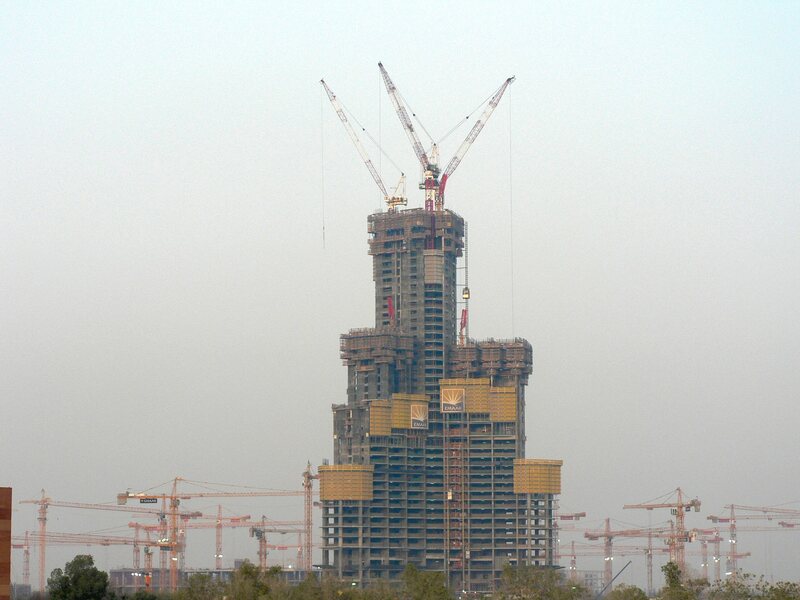 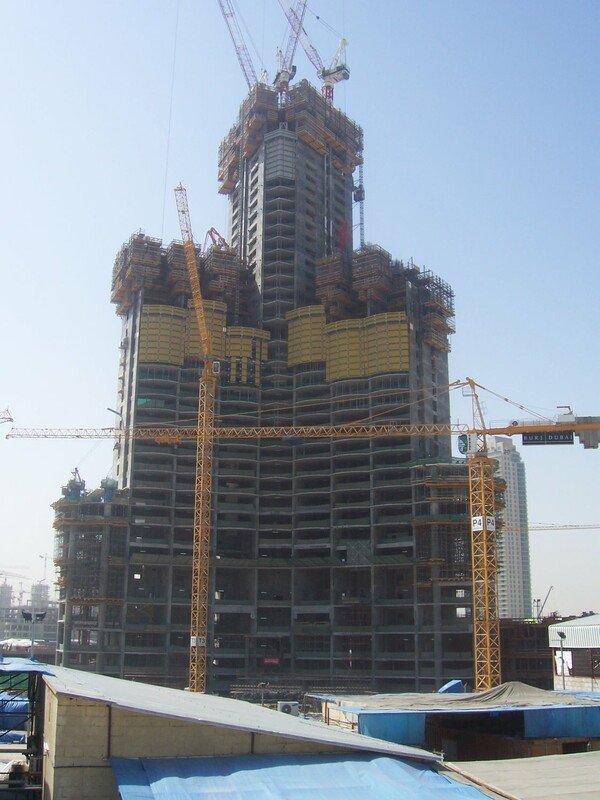 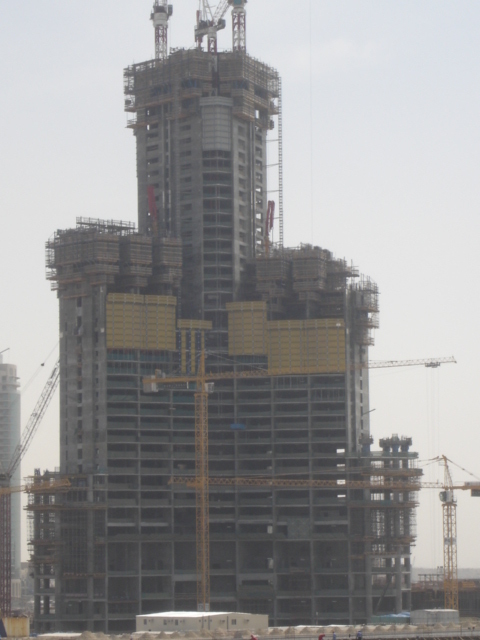 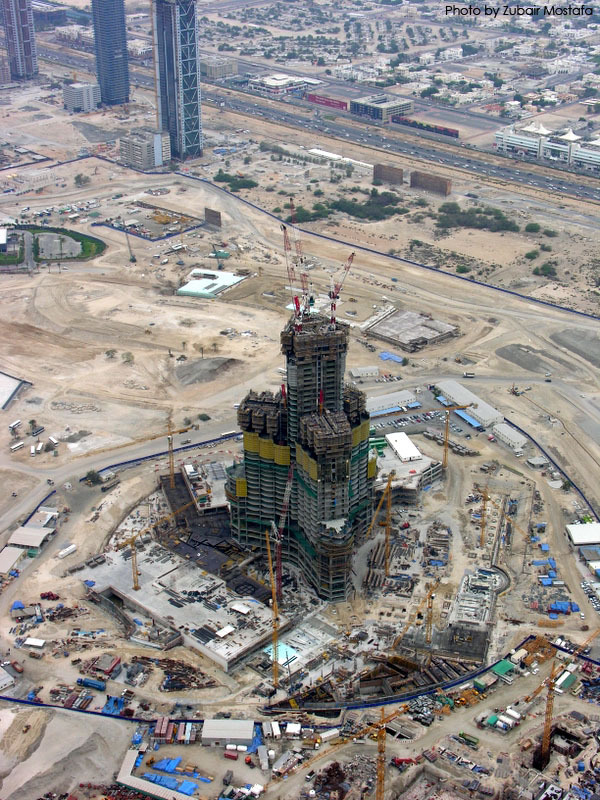 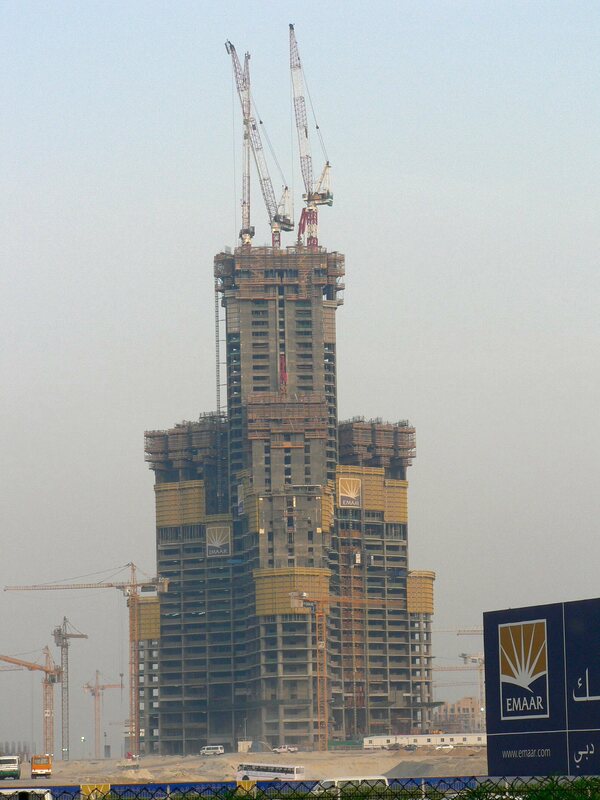 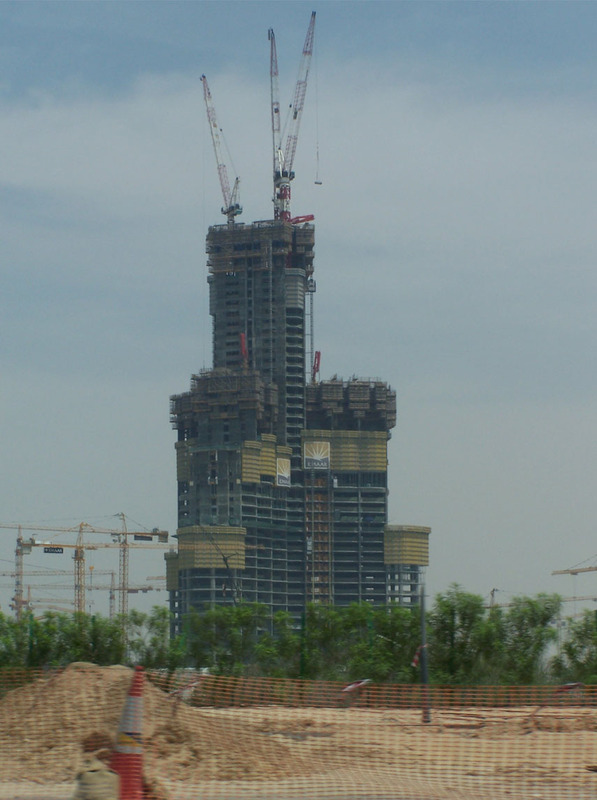 The constructor company HUNGAAR is aiming to complete it just ten days sooner than the Burj. 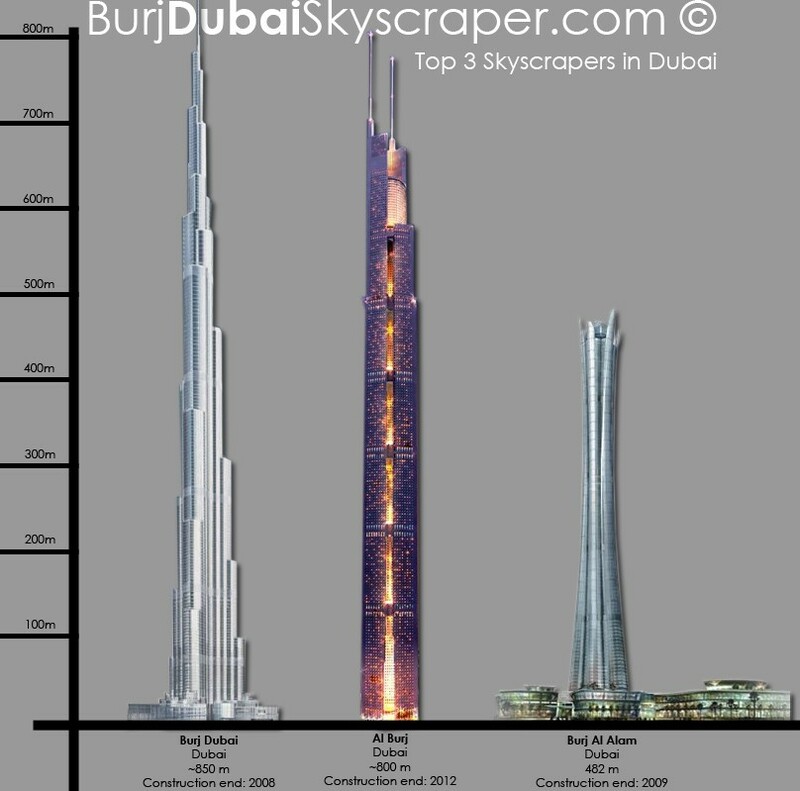 The company is very confident and they were not hesitating to publish the exact height, as they claim there is no real competition. 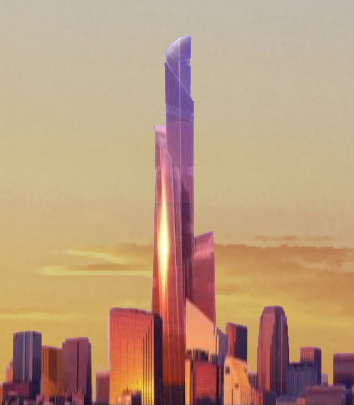 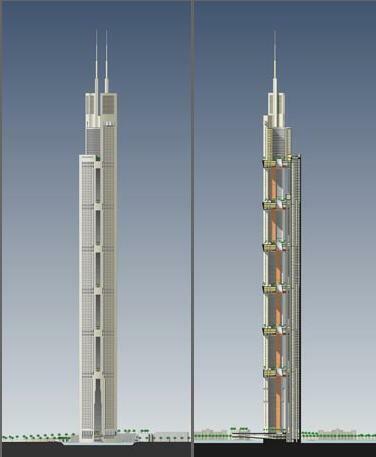 On the other hand they would not release a render of the skyscraper, the design is a surprise. 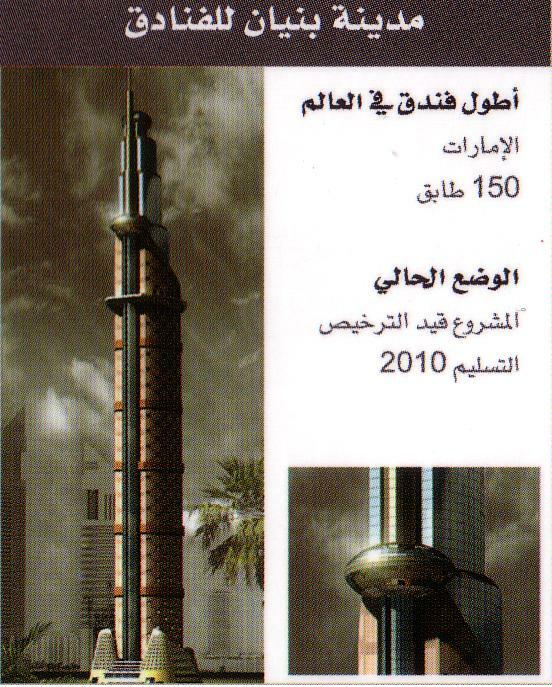 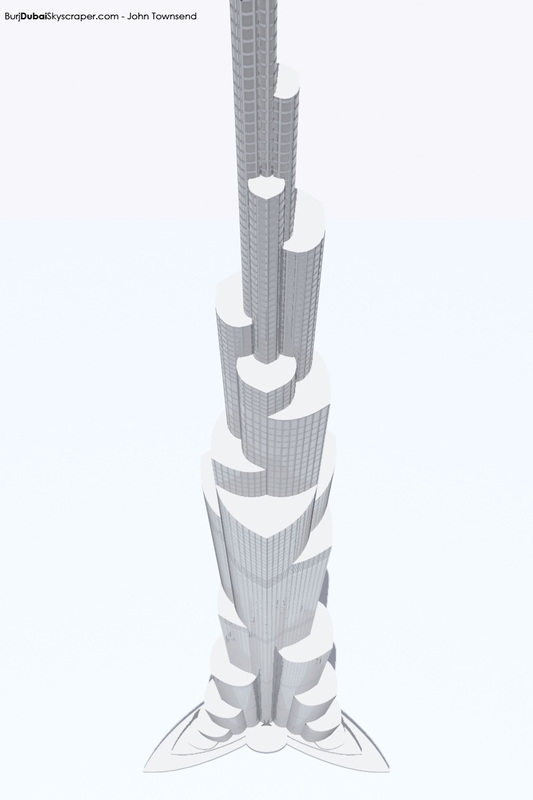 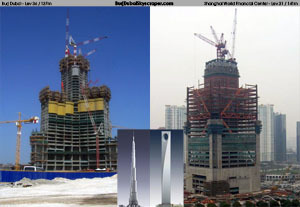 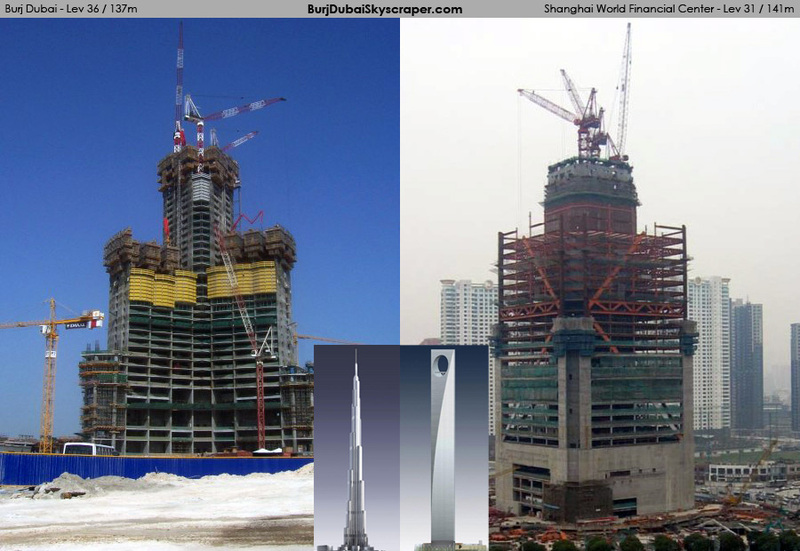 "Mubarak Tower will be 1001 m high and will form the landmark for this new city. 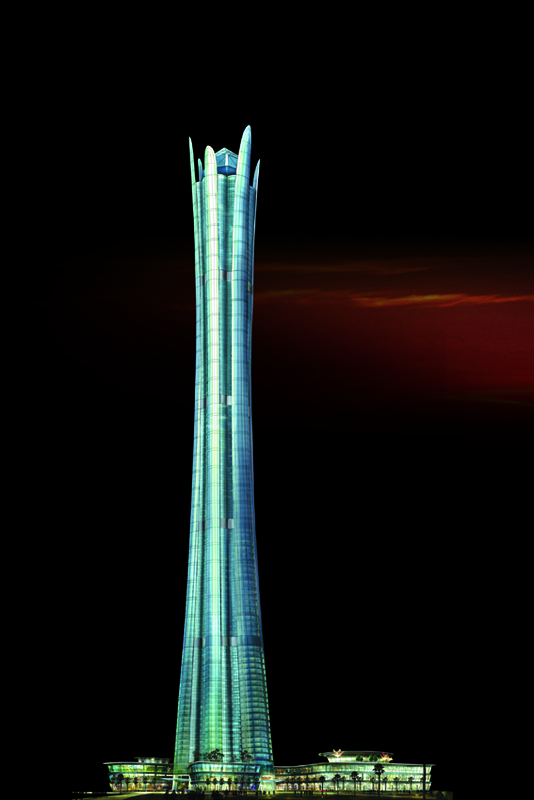 The tower was inspired by the 1001 nights story and the desert plant life. 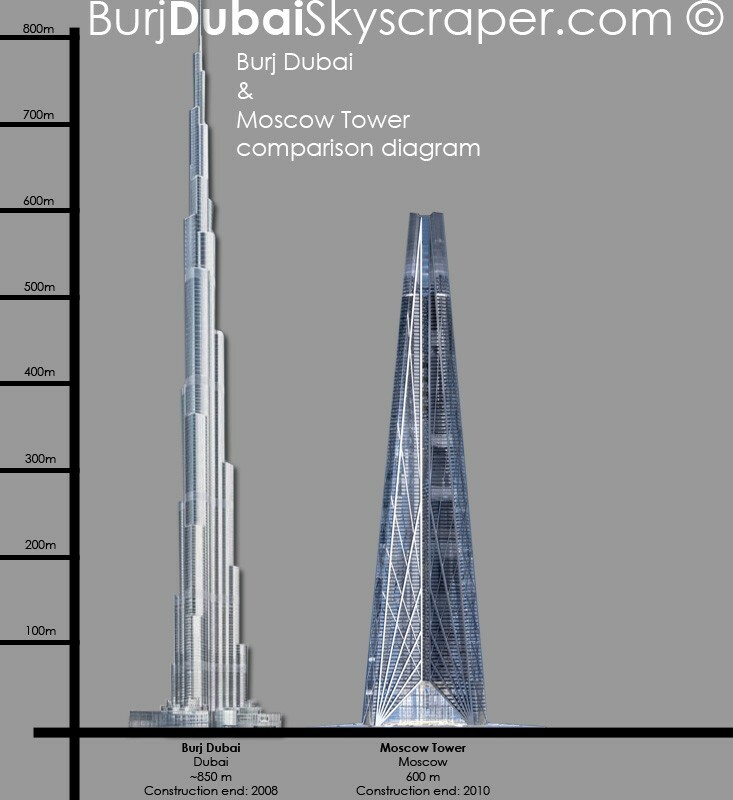 The tower will be composed of 7 vertical villages which will consist of hotels, offices, residences and entertainment facilities." 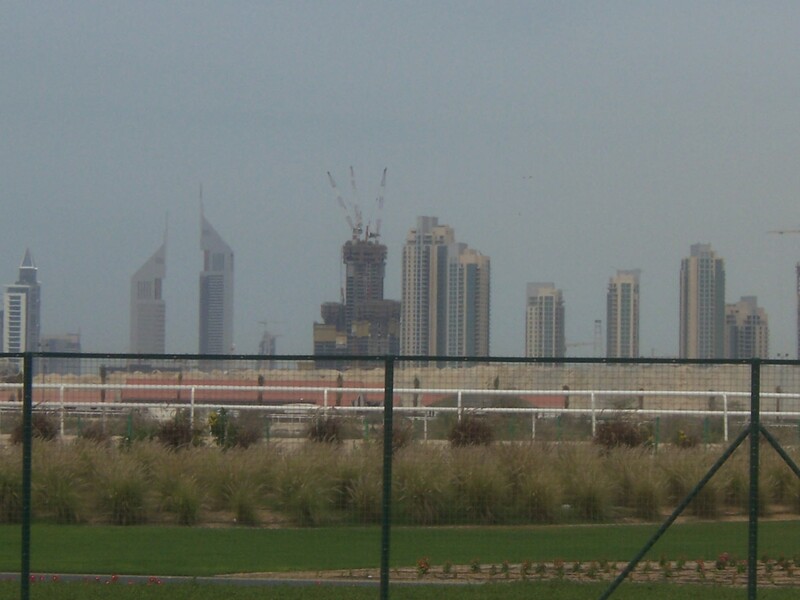 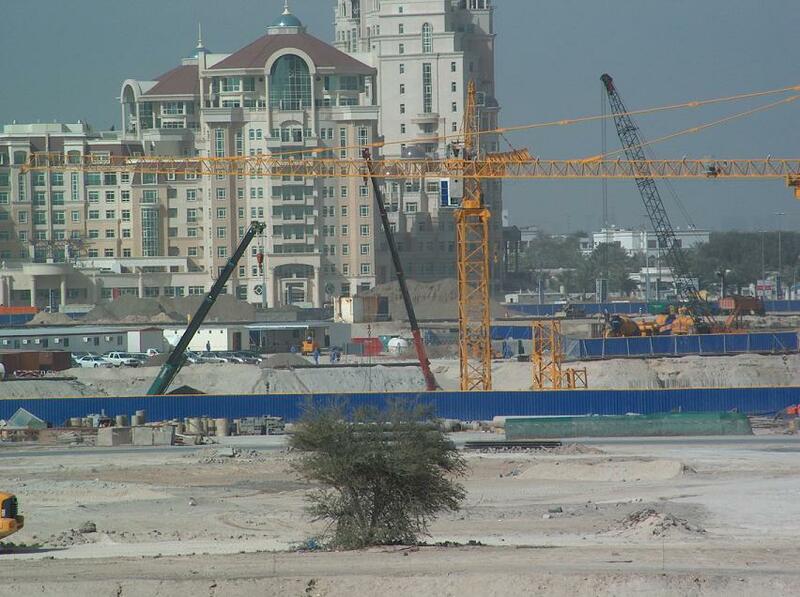 Two days ago there was an interruption of the construction work of Burj Dubai. 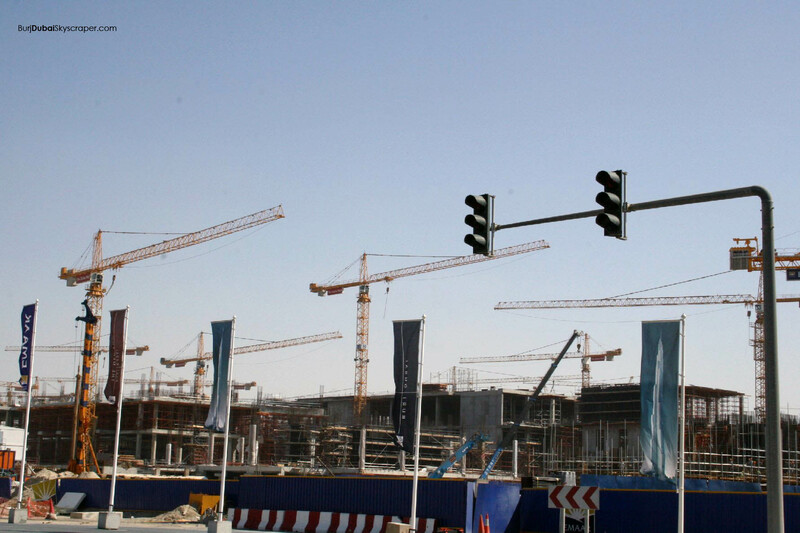 The Asian workers were angered by the low salaries and how they were mistreated. 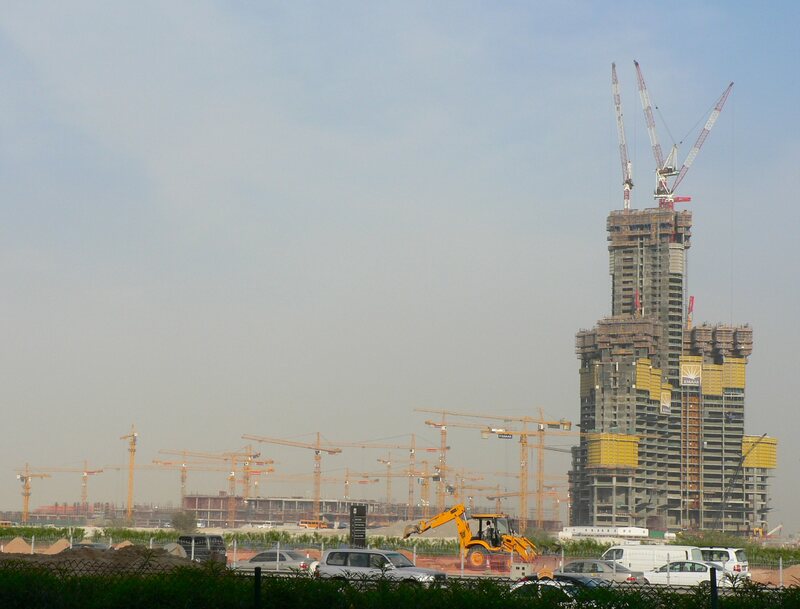 Krazy have created a petition which you could sign online, if you agree on making a minimum wage for the workers in Dubai.